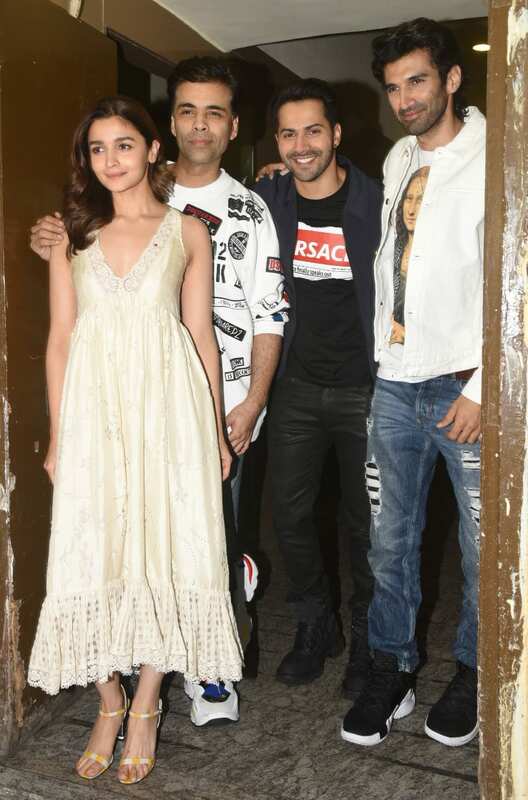 Bollywood actors Alia Bhatt, Varun Dhawan, Sonakshi Sinha and Aditya Roy Kapur along with Karan Johar were spotted at the screening of their upcoming film Kalank. The film helmed by Abhishek Varman will hit the screens on April 17, 2019. The film also stars Madhuri Dixit and Sanjay Dutt in pivotal roles. The rumoured ex-couple will be seen together after 20 long years. Varun and Alia will also be seen in after a gap of two years. They were last seen in Badrinath Ki Dulhania. 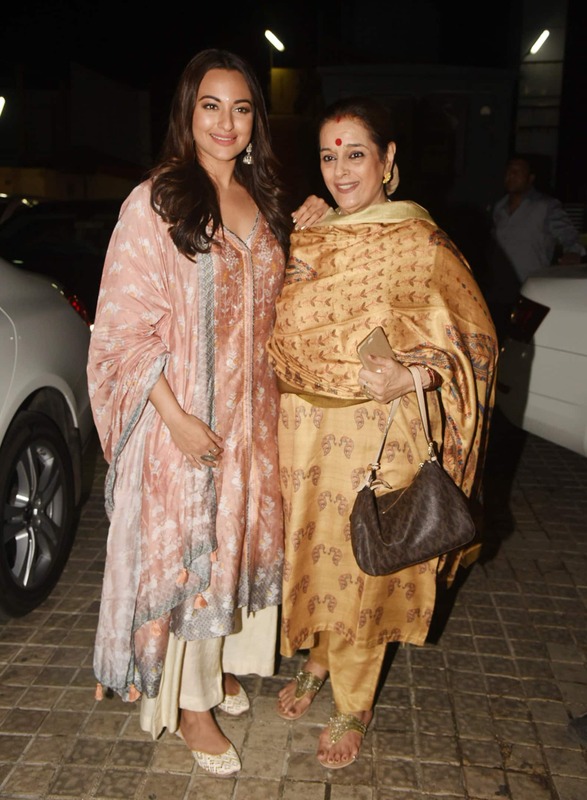 The film Kalank is backed by Karan Johar's Dharma Productions. Varun, Alia, Sonakshi and Aditya were spotted at the screening of Kalank.